Rachel Hore’s eighth novel is a warm tale of ordinary people navigating their way through the complexities of life in a big city. Each character narrates his or her own story, which gives a welcome sense of intimacy and brings their individual dilemmas into sharp focus. In a quiet London square stands a charmingly shabby house, the only one that has not been split into flats. This is number eleven, Bellevue Gardens, home to Leonie Brett and her collection of waifs and strays needing some TLC in order to face the world again. Leonie charges nominal rents to her tenants and provides a shoulder to cry on for free. Peter, an artist, lives in the basement and came as a sitting tenant when Leonie inherited the house from a close friend. He is gruff to the point of rudeness but Leonie knows he is troubled and feels responsible for him. Bela and Hari, an elderly couple, are quiet and almost invisible, rarely venturing out of their room. Then there is Rick, a shy young man who works in a supermarket but really wants to publish his graphic novels. 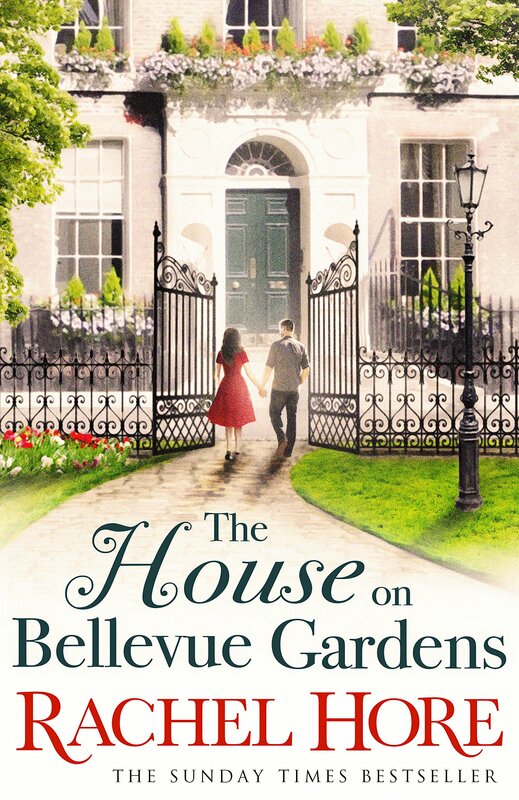 Leonie is pining for the return of her grandson, and is horrified to learn that her stay at Bellevue Gardens is under threat. The flashbacks to her life as a top model during the Swinging Sixties are fascinating. Falling for an up-and-coming photographer, Leonie is swept up in the excitement of the fashion world and soon the two become a formidable team. However, Leonie tires of the early starts and constant travelling and Hore precisely shows the disintegration of her marriage. Two new arrivals at the house are Rosa, a Polish woman looking for her brother, Michal, and Stef, a nervous young woman who has lost her identity in a suffocating relationship with the controlling Oliver. 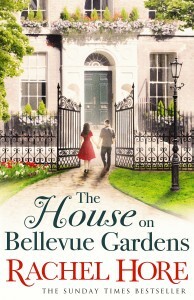 The only way she can break away from him is to hide and Bellevue Gardens becomes her sanctuary. Slowly, she regains her sense of self and revives the plans and ambitions she had before Oliver took over her life. Stef’s story is sensitively handled although not wildly original, and Hore avoids any easy or schmaltzy solutions. Falling for Stef gives Rick the impetus to follow his own dreams which lie far away from supermarket shelves. Meanwhile Rosa is uncovering family secrets which she hopes will lead her to much-loved Michal and is surprised to find so much compassion in an alien city. Hore blends her characters into an uplifting story of people gaining confidence from each other and discovering their path to happiness. There are obstacles in their way but each finds their courage to change and move on with their lives. Hore’s writing style is relaxed and conversational which results in a tale that glides by easily with its message of courage, inspiration, and the right to follow your own star. This novel would make a great holiday read with its many story strands and cosy setting.